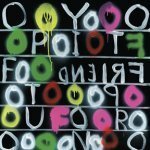 Deerhoof's Friend Opportunity is aptly named as it is quite an amiable release from the predictably unpredictable band. The odd time signatures and wild shifts, jerks, and variation within each song are present, but the overall sound of this one leans as heavily as ever towards the sweeter side of Deerhoof's range. On wilder releases, Deerhoof has managed to sound bracingly dangerous, but here they seem more whimsical. Generally, the band is inspired enough that this remains giddy and invigorating without sinking into insipid preciousness. Satomi Matsuzaki, in this glossiest and most easygoing of Deerhoof albums, sounds most of the time like a chirpy, clear voiced little girl, for better or worse (both, really). Mostly absent is the fierceness she is capable of in the band's more abrasive moods. Instrumentally, the album sounds remarkably clean and studio scrubbed, the least threatening presentation of a volatile and hyperactive musical union. It is obvious that Deerhoof could make conventionally radio ready pop rock if they were content to dwell on one thing long enough, but they have too many ideas and too little time for that. The refrains here come as surprises, rather than the breakage of them, which is the norm. Opener The Perfect Me and late-album bookend Matchbook Seeks Maniac display them at their relative hookiest, the latter song even maintaining something like an accessibly melodic vocal melody for more than a few minutes. The album has several times more swaggering riffs, live breaks, and moments of hypnotic texture than most, and it does not linger on them, trusting the listener to remember, feel, or pull them out. For just this reason, they are probably one of the great underexplored sample sources, as there are universes to be discovered in the extension and manipulation of these idea machines. Rock melancholia flitters in and out of The Galaxist. Funk percolates in and around Choco Fight and Kidz are So Small, as well as Cast off Crown, which along with +81 is more rollicking than larger bands who try to be just that. Whither the Invisible Birds resembles an uncommonly elegant Disney movie child ballad. Deerhoof cannot and do not want to avoid sounding strange. Friend Opportunity may be their most accessible album to date, but not because it is any less alive with ideas. Nor does the sanitized sound come off as a calculated effort to expand the audience, but rather a reflection of the loneliness pulsing through this album that very much wants to make a friend. As a service to old fans, or as proof that they can still be aimlessly improvisatory, or to bump the album above EP length, Look Away is tacked on at the end.